Pioneer shows us a premium car head unit for half a lakh rupees. Is it any good? Read on to find out. 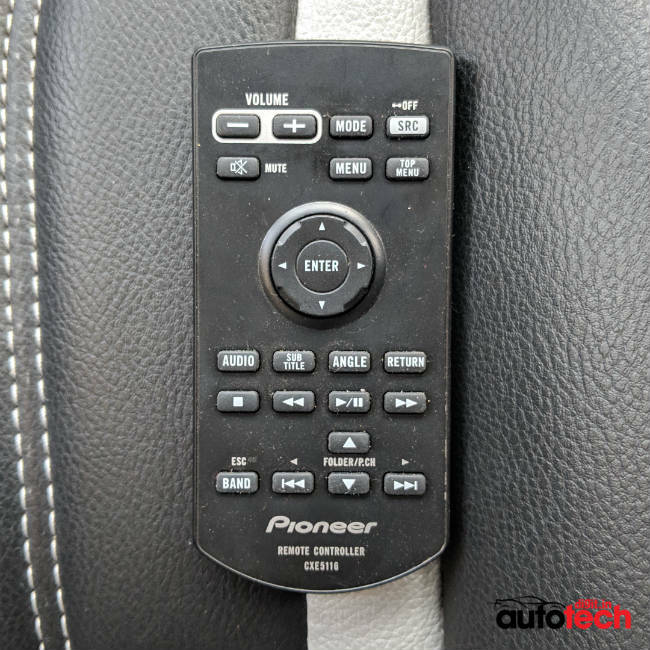 The Pioneer AVH-Z9190BT presents itself as a premium car audio head unit with plenty of connectivity options at a time when many cars in the Indian market already come with most of them—at least the stuff everyone uses every day: Bluetooth, USB, and line-in. What then, does the Pioneer AVH-Z9190BT offer extra? And does it justify its incredibly hefty price tag of Rs 50,050? Let’s explore. 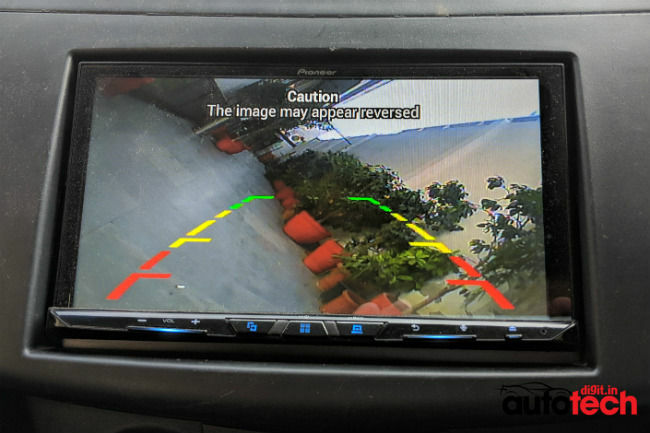 Here’s some background on the review unit: the Pioneer AVH-Z9190BT came to us fitted on a second-generation Maruti Suzuki Swift. It was connected to a 1,000-watt Pioneer GM-A6704 four-channel amplifier, which was in turn connected to a pair of Pioneer TS-C601IN component speakers with a cone size of six and a half inches. This meant that the inbuilt amplifier on the head unit was already bypassed. It was also connected to a Pioneer TS-WX306B 12-inch subwoofer with a shallow enclosure using a Pioneer mono-channel amplifier. The Pioneer AVH-Z9190BT uses a conventional AV head unit form factor: one big touchscreen display with a few essential buttons below it—something that hasn’t changed in the last six years or so. The display is a 7-inch capacitive touchscreen unit with a WVGA resolution (768 x 480 pixels). The quality of the display isn’t particularly great but it’s not the worst either. Content appears grainy with washed-out colours. Brightness is sufficient for bright and hot day under sunlight. Reflection and glare are kept to a minimum by the matte finish on the screen. Some touch latency can be observed when working with on-screen elements but it’s nothing unbearable. The display, on the whole, could have been better in terms of resolution and colour reproduction, especially considering how the head unit is equipped to play DVDs and all. Behind the display are slots for a DVD and an SD card. To allow access to them the display tilts backward and extends its chin forward using a motorised mechanism. The same mechanism is used if you want to tilt the display back by a few degrees for a better viewing angle. I reckon quite a lot of effort (and money) has gone into building such a tilting mechanism for the display. Apart from the two slots there’s a 3.5mm audio jack behind the display. 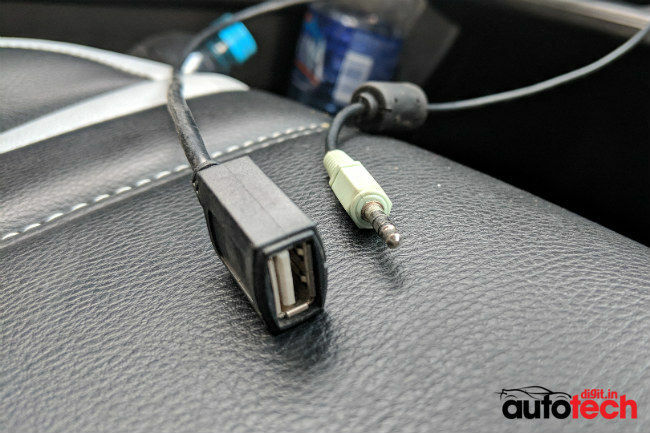 At first glance it may seem pointless to have one just behind the display but this particular jack is meant solely for the Auto EQ function, where the head unit sets the equaliser for you based on the vehicle’s acoustics. To measure ambient sound it requires an external microphone that’s sold separately. 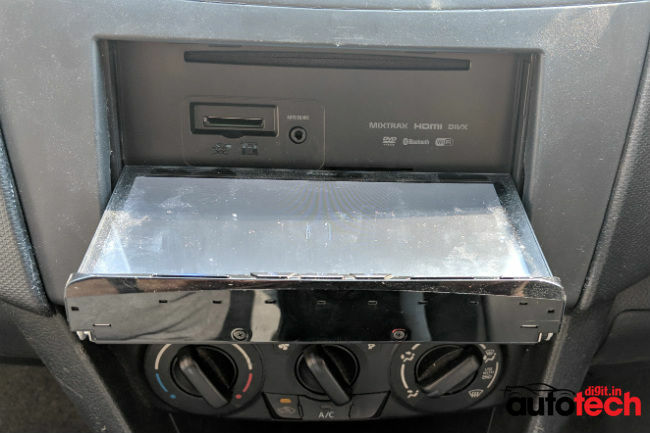 Let’s review the available input sources on the Pioneer AVH-Z9190BT head unit: it can play audio and video from CDs and DVDs, which honestly, is pointless because the world tossed the optical disc out of the window a long time ago. FM and AM Radio is of course a given. On the back it has two USB ports, of which one is designed to support iPhones (and iPods by extension) and the other is designed to support Android smartphones. Since the ports are all the way in the back they can only be used with the help of a USB extension cable (that’s routed for convenience to say, the glove box). It can also play songs off a USB flash drive. Pioneer has focussed heavily on video playback with this model. The AVH-Z9190BT can play video through analogue video input (using the good old RCA cable, that is) or through HDMI. It features additional video ports for connecting a rear camera. It can be wired to run the camera feed when the reverse gear is selected. Though the idea is great, I found the implementation on the review unit shabby; the distance markings on the screen were practically useless for judging distance and the reverse view (with nothing but a black screen) often triggered itself automatically. 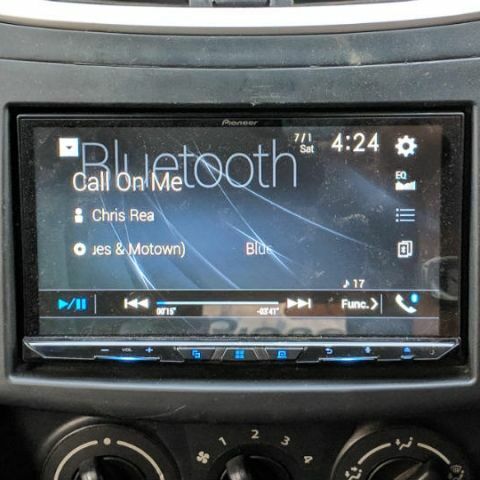 Bluetooth audio is pretty easy to set up and use on the AVH-Z9190BT. Owing to improper wiring on the review unit, I was unable to play music through line-in. It was the same story with a wired setup of Android Auto and Apple CarPlay. The good news is there are three RCA pre-outs on the back for hooking the system up to external amplifiers, which is more than the usual one or two pre-outs you see in most head units. The Pioneer AVH-Z9190BT head unit comes packed to the gills with options to tweak audio to your preference. For example, you get, apart from the usual fader and balance options, an option to set the time alignment, listening position, and distance. There were so many options to experiment in the Settings menu of the review unit that I could not cover and comprehend all of them in a span of two or three days. Though there were so many options to explore on the head unit, it was a little difficult to understand what some of them did without referring to the user manual. Some of the options were, I found, even a bit wasteful. 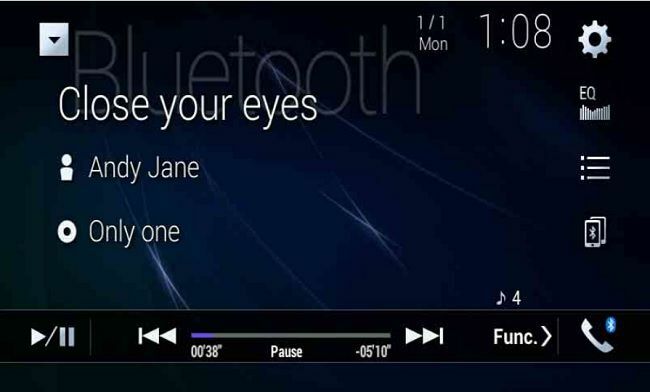 For example, I could change the design of the splash screen when the head unit started up. What am I supposed to do with that? Though I struggled in the beginning, I managed to connect two smartphones to the head unit at the same time. Call handling was a fairly pleasant experience. The Pioneer AVH-Z9190BT comes with a wired microphone you can clip to a spot near the sun visor. The sad thing is that you get the exact same microphone even if you buy an entry-level Bluetooth-enabled head unit from Pioneer. So, you’re definitely not paying extra for calling clarity. On the plus side, the head unit has a dedicated voice command button for activating Google Assistant or Siri (whichever applicable) on the phone, which, in my experience, worked successfully three out of five times. The 7-inch display allows you to browse your phone book and even dial a phone number using an on-screen dialler. On the whole, calling is a decent experience on the AVH-Z9190BT but nothing special. The user interface is yet another section where the Pioneer AVH-Z9190BT fails to score high. In most screens of the review unit, I found the space on the screen used inefficiently. For starters, I’d have liked to see the album cover of the track currently playing (whenever available), which generally helps the listener identify the song faster. I disliked the way text was displayed in many of the screens; the thin sans-serif font was gaudy and unequally sized for small menus, and some of the text was clashing. I felt Pioneer could have fit in more audio control buttons like Shuffle and Repeat next to the track’s progress bar without paginating, where the button to scroll pages already eats up the space of one button. Seeking within a track was difficult as only the fast-forward and the rewind buttons worked on the review unit; the progress bar was practically useless. The head unit took 24 seconds to wake up fully and resume playing music every time the car was started. This long start-up time, in stop-and-go traffic, can be a nuisance. In my experience, I’ve seen less-sophisticated head units resume faster. On the whole, the Pioneer AVH-Z9190BT head unit’s user interface lacks class and practicality. The user experience would have been a lot better if Pioneer had found a way to simplify its icons and menus. Pioneer could have also devised another way of interacting with the head unit apart from touch—a sliding jog dial that fits under the display perhaps—or Amazon Alexa or Google Assistant built-in maybe? I struggle to find real-world use cases for some of the Pioneer AVH-Z9190BT head unit’s features. For example, the DVD slot inside, which necessitates a motor for the drop-down display, is completely useless in an age when every media device out there is striving to include names like Netflix and YouTube in its packaging. On the bright side, it features numerous settings to tweak audio output to your liking. So, audiophiles won’t go home unhappy. Pioneer has gone a long way to include everything it can in its high-end head unit but lost sight of what to include in the process, I’m afraid. The Pioneer AVH-Z9190BT is a loaded media device for the car if all that you’re expecting it to be is a TV and DVD player but fails to justify its hefty price tag of half a lakh rupees.